Used by American pioneers for its benefits to the urinary system, yellow dock is part of the buckwheat family and flourishes throughout the United States. 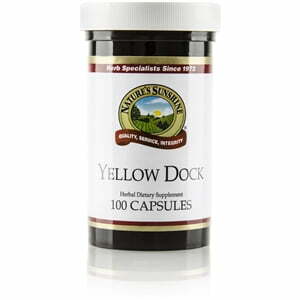 Yellow dock regulates elimination and nutritionally supports the colon and the liver. It contains anthraquinones and tannins which are largely the reason for its digestive benefits. Each Nature’s Sunshine Yellow Dock capsule is 460 mg.